Wolf completed her doctorate at Harvard University, in the Department of Human Development and Psychology in the Graduate School of Education, where she began her work in cognitive neuroscience and psycholinguistics on the reading brain, language, and dyslexia. She has undergraduate and Master’s degrees in English Literature from St. Mary’s College/Notre Dame and Northwestern University. 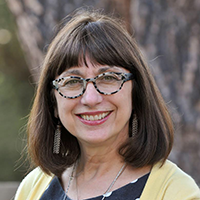 The author of more than 160 scientific articles, she designed the RAVE-O reading intervention for children with dyslexia, and with Martha Denckla, co-authored the RAN/RAS naming speed tests, a major predictor of dyslexia across all languages. Among her awards are the Fulbright Fellowship, the Chapman University Presidential Fellow, the Norman Geschwind and Samuel Orton Awards (the highest honors from the International Dyslexia Association), the Distinguished Teacher of the Year awards from the state and national American Psychological Association, the Eminent Researcher of the Year Award for Learning Disabilities (Australia), and both the Alice Ansara and the Windward Researcher of the Year award for her research on dyslexia. With Maureen Lovett and Robin Morris, she received the NICHD Shannon Award for Innovative Research. She received the Christopher Columbus award for Intellectual Innovation for her work as co-founder of Curious Learning, a global literacy initiative with deployments in Africa, India, Australia, and rural United States and the Einstein Award from The Dyslexia Foundation for her work in dyslexia. She was a Fellow (2014-2015) and Research Affiliate (2016-2017) at the Center for Advanced Study in the Behavioral Sciences at Stanford University. She is currently working with members of the Dyslexia Center in the UCSF School of Medicine and the faculty at Chapman University on issues related to dyslexia and is an External Advisor to the International Monetary Fund, a research advisor to the Canadian Children’s Literacy Foundation, and a frequent speaker at the Pontifical Academy of Sciences.